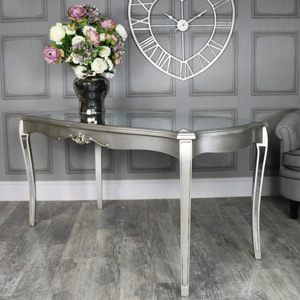 Melody maison have a large selection of shabby chic furniture, including wooden dining tables which come in round or rectangle, dependant on the size you are looking for. 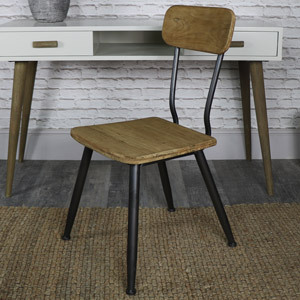 Want to add some personality to your dining room? why not include one of our cream painted dining room table sets. 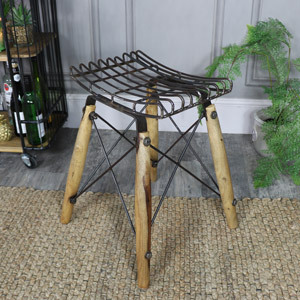 With its four or six chairs, you are able to seat your guests without all having to squeeze onto the sofa! Our french-style dining sets with a bench have also been proving popular as this can seat more people, yet matches the full dining set well. Whatever your taste we can find something to suit your room so feel free to contact us on 0130274100.